I have one and love it! Now that the heat is on, I run this every evening! My hubby and daughter had a kitchen accident this week and left the house smelling smokey. This has been a life saver! 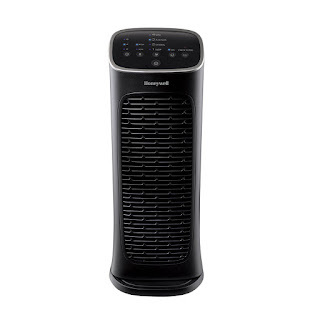 The Honeywell® Compact AirGenius 4 Air Cleaner/Odor Reducer combines the best features & technology into one really smart - and compact - air cleaner. 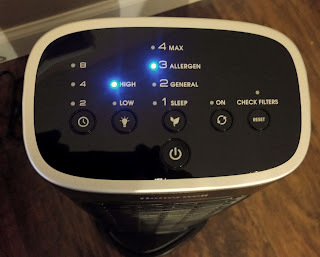 Perfect for medium sized rooms, the Compact AirGenius 4 has smart LED controls with features that allow the air purifier to be set on 4 different air cleaning levels as well as featuring an auto shut off timer, electronic filter check, and a control panel light dimmer. .
Sleep - Shhhh...nearly silent setting helps clean the air while you sleep. General - For general air cleaning. Set it and forget it! Allergen - For peak allergen season. Optimizes allergen capturing performance. Max - For power cleaning or fast odor reduction. 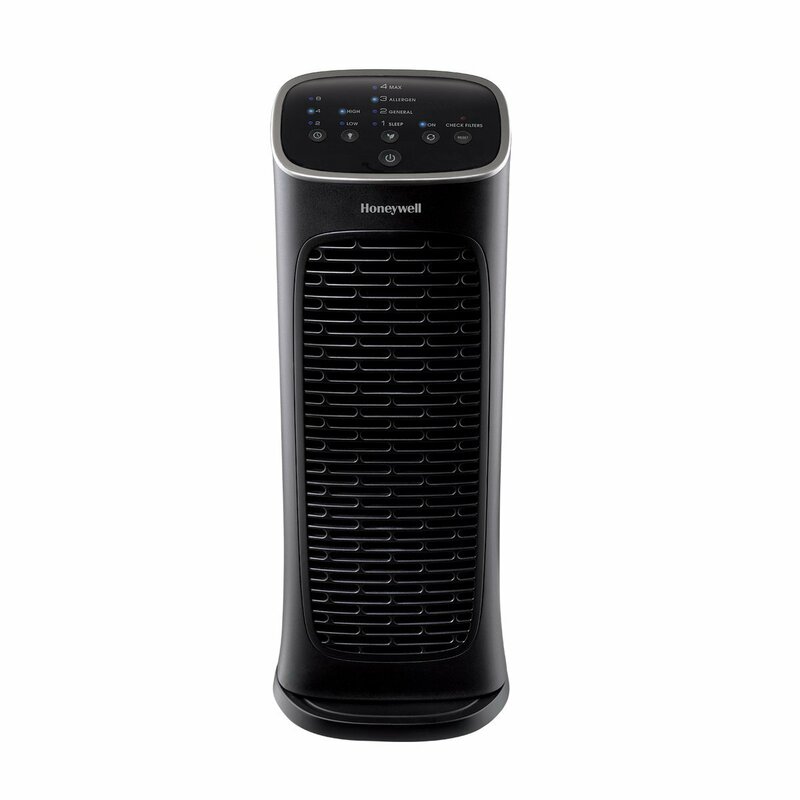 Its patented ifD® filter allows for quiet operation and is effective at capturing up to 99.9% of airborne particles, both the larger visible particles and the microscopic invisible ones. The ifD® filter and foam pre-filter are permanent and very easy to clean – simply wash the filters 4 times per year – no replacement filters needed! The Honeywell® Compact AirGenius 4 Air Cleaner/Odor Reducer turns off automatically once you set the 2, 4 or 8 hour auto-off time. As you can see from the above video it is super quiet and it oscillates to clean the air around the room and not just in one direction.